On Sept. 12, Pope Benedict XVI delivered a lecture on "Faith, Reason and the University" at the University of Regensburg. In his discussion (full text available on the Vatican Web site) the pope appeared to be trying to define a course between dogmatic faith and cultural relativism -- making his personal contribution to the old debate about faith and reason. In the course of the lecture, he made reference to a "part of the dialogue carried on -- perhaps in 1391 in the winter barracks near Ankara -- by the erudite Byzantine emperor Manuel II Paleologus and an educated Persian on the subject of Christianity and Islam, and the truth of both." "The decisive statement in this argument against violent conversion is this: Not to act in accordance with reason is contrary to God's nature. The editor, Theodore Khoury, observes: 'For the emperor, as a Byzantine shaped by Greek philosophy, this statement is self-evident. But for Muslim teaching, God is absolutely transcendent.'" The reaction of the Muslim world -- outrage -- came swift and sharp over the passage citing Manuel II: "Show me just what Mohammed brought that was new, and there you will find things only evil and inhuman, such as his command to spread by the sword the faith he preached." Obviously, this passage is a quote from a previous text -- but equally obviously, the pope was making a critical point that has little to do with this passage. The essence of this passage is about forced conversion. It begins by pointing out that Mohammed spoke of faith without compulsion when he lacked political power, but that when he became strong, his perspective changed. Benedict goes on to make the argument that violent conversion -- from the standpoint of a Byzantine shaped by Greek philosophy, and therefore shaped by the priority of reason -- is unacceptable. For someone who believes that God is absolutely transcendent and beyond reason, the argument goes, it is acceptable. Clearly, Benedict knows that Christians also practiced forced conversion in their history. He also knows that the Aristotelian tendency is not unique to Christianity. In fact, that same tendency exists in the Muslim tradition, through thinkers such as al-Farabi or Avicenna. These stand in relation to Islam as Thomas Aquinas does to Christianity or Maimonides to Judaism. And all three religions struggle not only with the problem of God versus science, but with the more complex and interesting tripolar relationship of religion as revelation, reason and dogmatism. There is always that scriptural scholar, the philosopher troubled by faith and the local clergyman who claims to speak for God personally. Benedict's thoughtful discussion of this problem needs to be considered. Also to be considered is why the pope chose to throw a hand grenade into a powder keg, and why he chose to do it at this moment in history. The other discussion might well be more worthy of the ages, but this question -- what did Benedict do, and why did he do it -- is of more immediate concern, for he could have no doubt what the response, in today's politically charged environment, was going to be. Let's begin with the obvious: Benedict's words were purposely chosen. The quotation of Manuel II was not a one-liner, accidentally blurted out. The pope was giving a prepared lecture that he may have written himself -- and if it was written for him, it was one that he carefully read. Moreover, each of the pope's public utterances are thoughtfully reviewed by his staff, and there is no question that anyone who read this speech before it was delivered would recognize the explosive nature of discussing anything about Islam in the current climate. There is not one war going on in the world today, but a series of wars, some of them placing Catholics at risk. It is true that Benedict was making reference to an obscure text, but that makes the remark all the more striking; even the pope had to work hard to come up with this dialogue. There are many other fine examples of the problem of reason and faith that he could have drawn from that did not involve Muslims, let alone one involving such an incendiary quote. But he chose this citation and, contrary to some media reports, it was not a short passage in the speech. It was about 15 percent of the full text and was the entry point to the rest of the lecture. Thus, this was a deliberate choice, not a slip of the tongue. As a deliberate choice, the effect of these remarks could be anticipated. Even apart from the particular phrase, the text of the speech is a criticism of the practice of conversion by violence, with a particular emphasis on Islam. Clearly, the pope intended to make the point that Islam is currently engaged in violence on behalf of religion, and that it is driven by a view of God that engenders such belief. 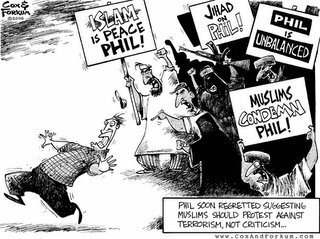 Given Muslims' protests (including some violent reactions) over cartoons that were printed in a Danish newspaper, the pope and his advisers certainly must have been aware that the Muslim world would go ballistic over this. Benedict said what he said intentionally, and he was aware of the consequences. Subsequently, he has not apologized for what he said -- only for any offense he might have caused. He has not retracted his statement. So, why this, and why now? Consider the fact that the pope is not only a scholar but a politician -- and a good one, or he wouldn't have become the pope. He is not only a head of state, but the head of a global church with a billion members. The church is no stranger to geopolitics. Muslims claim that they brought down communism in Afghanistan. That may be true, but there certainly is something to be said also for the efforts of the Catholic Church, which helped to undermine the communism in Poland and to break the Soviet grip on Eastern Europe. Popes know how to play power politics. Thus, there are at least two ways to view Benedict's speech politically. One view derives from the fact that the pope is watching the U.S.-jihadist war. He can see it is going badly for the United States in both Afghanistan and Iraq. He witnessed the recent success of Hezbollah in Lebanon and Hamas' political victory among the Palestinians. 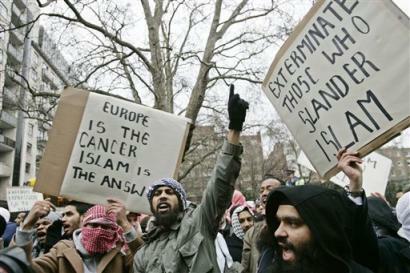 Islamists may not have the fundamental strength to threaten the West at this point, but they are certainly on a roll. Also, it should be remembered that Benedict's predecessor, John Paul II, was clearly not happy about the U.S. decision to invade Iraq, but it does not follow that his successor is eager to see a U.S. defeat there. The statement that Benedict made certainly did not hurt U.S. President George W. Bush in American politics. Bush has been trying to portray the war against Islamist militants as a clash of civilizations, one that will last for generations and will determine the future of mankind. Benedict, whether he accepts Bush's view or not, offered an intellectual foundation for Bush's position. He drew a sharp distinction between Islam and Christianity and then tied Christianity to rationality -- a move to overcome the tension between religion and science in the West. But he did not include Islam in that matrix. Given that there is a war on and that the pope recognizes Bush is on the defensive, not only in the war but also in domestic American politics, Benedict very likely weighed the impact of his words on the scale of war and U.S. politics. What he said certainly could be read as words of comfort for Bush. We cannot read Benedict's mind on this, of course, but he seemed to provide some backing for Bush's position. It is not entirely clear that Pope Benedict intended an intellectual intervention in the war. The church obviously did not support the invasion of Iraq, having criticized it at the time. On the other hand, it would not be in the church's interests to see the United States simply routed. The Catholic Church has substantial membership throughout the region, and a wave of Islamist self-confidence could put those members and the church at risk. From the Vatican's perspective, the ideal outcome of the war would be for the United States to succeed -- or at least not fail -- but for the church to remain free to criticize Washington's policies and to serve as conciliator and peacemaker. Given the events of the past months, Benedict may have felt the need for a relatively gentle intervention -- in a way that warned the Muslim world that the church's willingness to endure vilification as a Crusader has its limits, and that he is prepared, at least rhetorically, to strike back. Again, we cannot read his mind, but neither can we believe that he was oblivious to events in the region and that, in making his remarks, he was simply engaged in an academic exercise. This perspective would explain the timing of the pope's statement, but the general thrust of his remarks has more to do with Europe. There is an intensifying tension in Europe over the powerful wave of Muslim immigration. Frictions are high on both sides. Europeans fear that the Muslim immigrants will overwhelm their native culture or form an unassimilated and destabilizing mass. Muslims feel unwelcome, and some extreme groups have threatened to work for the conversion of Europe. In general, the Vatican's position has ranged from quiet to calls for tolerance. As a result, the Vatican was becoming increasingly estranged from the church body -- particularly working and middle-class Catholics -- and its fears. As has been established, the pope knew that his remarks at Regensburg would come under heavy criticism from Muslims. He also knew that this criticism would continue despite any gestures of contrition. Thus, with his remarks, he moved toward closer alignment with those who are uneasy about Europe's Muslim community -- without adopting their own, more extreme, sentiments. That move increases his political strength among these groups and could cause them to rally around the church. At the same time, the pope has not locked himself into any particular position. And he has delivered his own warning to Europe's Muslims about the limits of tolerance. It is obvious that Benedict delivered a well-thought-out statement. It is also obvious that the Vatican had no illusions as to how the Muslim world would respond. The statement contained a verbal blast, crafted in a way that allowed Benedict to maintain plausible deniability. Indeed, the pope already has taken the exit, noting that these were not his thoughts but those of another scholar. The pope and his staff were certainly aware that this would make no difference in the grand scheme of things, save for giving Benedict the means for distancing himself from the statement when the inevitable backlash occurred. Indeed, the anger in the Muslim world remained intense, and there also have been emerging pockets of anger among Catholics over the Muslim world's reaction to the pope, considering the history of Islamic attacks against Christianity. Because he reads the newspapers -- not to mention the fact that the Vatican maintains a highly capable intelligence service of its own -- Benedict also had to have known how the war was going, and that his statement likely would aid Bush politically, at least indirectly. Finally, he would be aware of the political dynamics in Europe and that the statement would strengthen his position with the church's base there. The question is how far Benedict is going to go with this. His predecessor took on the Soviet Union and then, after the collapse of communism, started sniping at the United States over its materialism and foreign policy. Benedict may have decided that the time has come to throw the weight of the church against radical Islamists. In fact, there is a logic here: If the Muslims reject Benedict's statement, they have to acknowledge the rationalist aspects of Islam. The burden is on the Ummah to lift the religion out of the hands of radicals and extremist scholars by demonstrating that Muslims can adhere to reason. From an intellectual and political standpoint, therefore, Benedict's statement was an elegant move. He has strengthened his political base and perhaps legitimized a stronger response to anti-Catholic rhetoric in the Muslim world. And he has done it with superb misdirection. His options are open: He now can move away from the statement and let nature take its course, repudiate it and challenge Muslim leaders to do the same with regard to anti-Catholic statements or extend and expand the criticism of Islam that was implicit in the dialogue. The pope has thrown a hand grenade and is now observing the response. We are assuming that he knew what he was doing; in fact, we find it impossible to imagine that he did not. He is too careful not to have known. Therefore, he must have anticipated the response and planned his partial retreat. It will be interesting to see if he has a next move. The answer to that may be something he doesn't know himself yet. Fr. Robert Sirico from the Acton Institute and Ahmed Younis from the Muslim Public Affairs Council were recently interviewed on Washington Post Radio with some very interesting observations. You can listen to the interview here. A great resource for all Muslim inconsistencies is Jihad Watch, updated very regularly with all the latest news and info. Why is this story not being broadcast nationaly or even more locally? Since the FBI was involved one would think something this big would make national headlines, even if it's nothing, but that's not what it sounds like! The New York Post has an apology written by an Arab from New York. You can read this very interesting article here. Five Churches in the Palestinian area have been attacked since Pope Benedict XVI delivered a speech last week in Germany quoting 14th-century Byzantine emperor Manuel II Paleologus who said: "Show me just what Mohammad brought that was new, and there you will find things only evil and inhuman, such as his command to spread by the sword the faith he preached." In the West Bank attacks, guns, firebombs and lighter fluid were used, leaving church doors charred and walls scorched by flames and pocked with bullet holes. Nobody was reported injured. Two Catholic churches, an Anglican church and a Greek Orthodox one were hit. A Greek Orthodox church was also attacked in Gaza City. In a phone call to The Associated Press, a group calling itself the "Lions of Monotheism" claimed responsibility for the attacks, saying they were carried out to protest the pope's remarks. “We want to make it clear that if the pope does not appear on TV and apologize for his comments, we will blow up all of Gaza’s churches,” the group said in a statement. An Iraqi insurgent group threatened the Vatican with a suicide attack over the pope's remarks on Islam, according to a statement posted Saturday on the Web. "We swear to God to send you people who adore death as much as you adore life," said the message posted in the name of the Mujahedeen Army on a Web site frequently used by militant groups. The message's authenticity could not be independently verified. The statement was addressed to "you dog of Rome" and threatens to "shake your thrones and break your crosses in your home." Salih Kapusuz, deputy leader of Turkish Prime Minister Recep Tayyip Erdogan's Islamic-rooted party, said Benedict's remarks were either "the result of pitiful ignorance" about Islam and its prophet or, worse, a deliberate distortion. "He has a dark mentality that comes from the darkness of the Middle Ages. He is a poor thing that has not benefited from the spirit of reform in the Christian world," Kapusuz told Turkish news media. "It looks like an effort to revive the mentality of the Crusades." "He is going down in history in the same category as leaders such as Hitler and Mussolini." People come on, comparing the Pope to Hitler and Mussolini? How absurd is that? 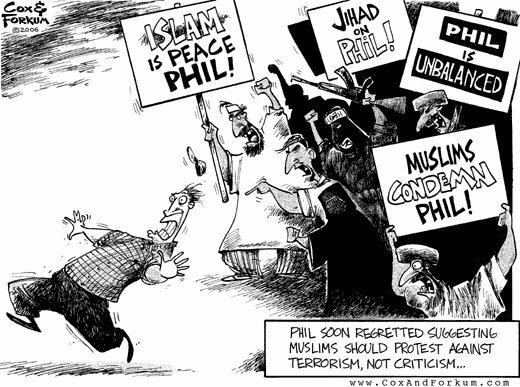 Do these people not realize that by their actions they are proving to the world what everyone already thinks and what they are supposedly trying to defend themselves against, that Islam is a peaceful religion? It doesn't take a brain surgeon to understand that to beget violence on someone in retaliation for being called violent only proves the point of the former, but the latter is thus made to look not only violent but a dolt besides! If these Islamic fascists want to prove how holy, righteous and non violent they are then they should take example from what the West has been teaching children for years: "when in conflict use your words and not your fists." So it's been a while since I've posted anything, let alone a personal post, so I thought now's as good a time as any. 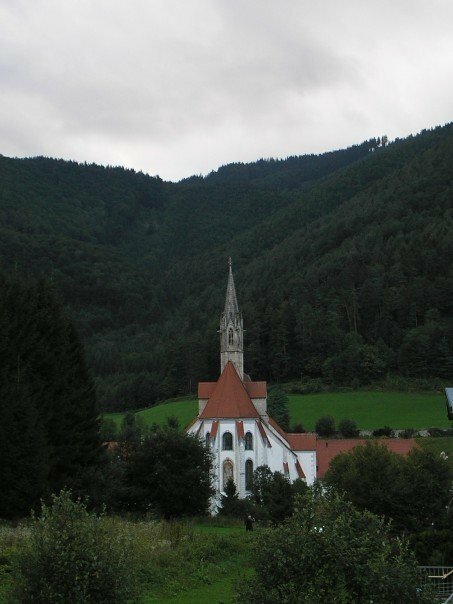 I've been perusing pictures of my brother and his friends who are studying abroad in Austria and it reminds me of my own semester there, way back in the fall of 2000. Seems like just yesterday I was tramping through the hills, getting lost on the trains, exploring all through the town, staying out late drinking amazing European beers, and basically just enjoying the laid back lifestyle that is Europe. I would love to be there again, but alas, job, wife, work, and all the other responsibilities keep me grounded here for now. My word of advice for all those sowing their oats in the bliss of youth, beer and new cultures...enjoy it now, it's the best of times and the best of semesters. Take away from it everything that you possibly can and chalk it all up to the experience of your new surroundings. Live each day to the very fullest because it goes by so fast and you'll look back and say, "where did the time go?" Enjoy the moment and take lots of pictures!